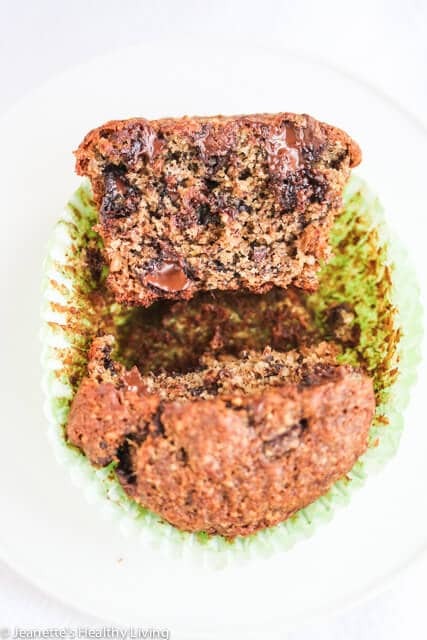 These Banana Chocolate Chip Oat Flaxseed Almond Muffins use healthy flaxseed to replace half the oil in the typical muffin recipe. 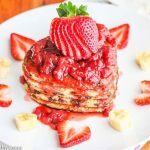 I love cooking for other people, especially folks who are going through a rough patch and need a little help with meals. One of my friends that I’ve been cooking for over the past year is so sweet. Whenever she returns the empty containers from the food I’ve made, she thoughtfully tucks in a thank you note, a favorite recipe, some spices from my favorite spice store, or ingredients that she thinks I will get better use out of than she can. One of the ingredients she’s given me a few packs of is flaxseed meal (ground up flaxseed). 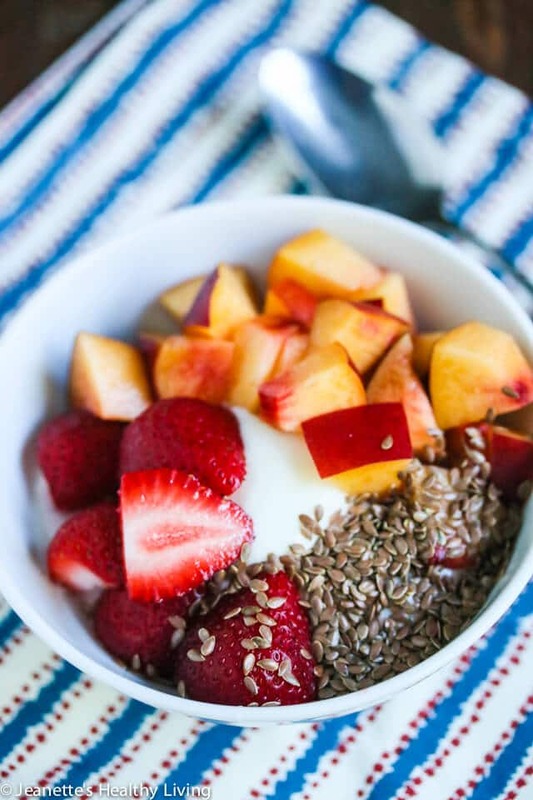 Flaxseeds are a wonderful source of fiber and heart healthy omega-3 essential fatty acids. 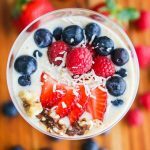 I’ve sprinkled whole flaxseeds on yogurt and used flaxseed meal as a substitute for eggs in recipes, but did you know it can also be used to substitute for oil in baked recipes? 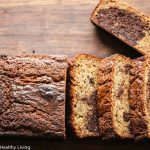 Yup, you can safely substitute up to half the oil in muffins and quick breads with ground flaxseed meal by using three times the amount you’re substituting. So, for example, the original amount of oil in this muffin recipe was 1/2 cup. I used only 1/4 cup olive oil and 3/4 cup of ground flaxseed meal. 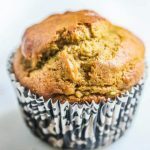 To make these an even heartier and healthier muffin, I used oat flour and almond flour in place of white flour. 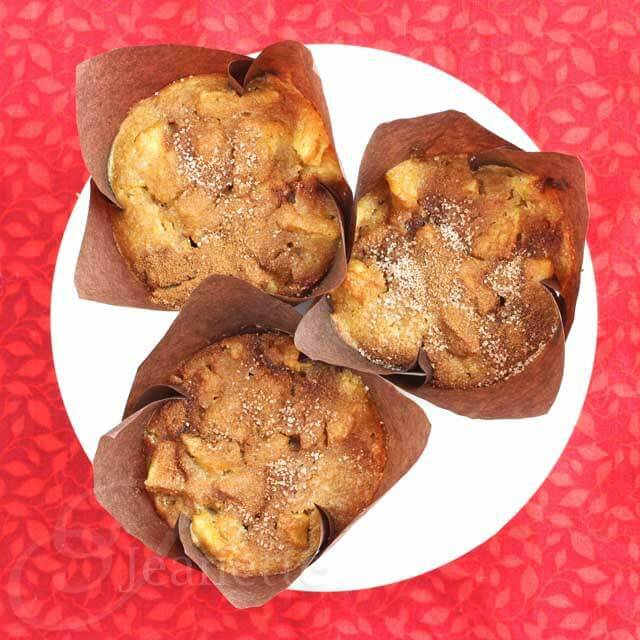 These muffins are great for a school morning or an afternoon snack. 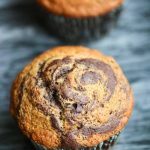 Yes, they’re loaded with chocolate chips, but they’re still a healthier option than your average muffin, with more protein, fiber and omega 3 essential fatty acids than your typical muffin. In a small bowl, mash together bananas, baking soda and water. In mixing bowl, beat together oil, ground flaxseed, sugar, egg and vanilla. 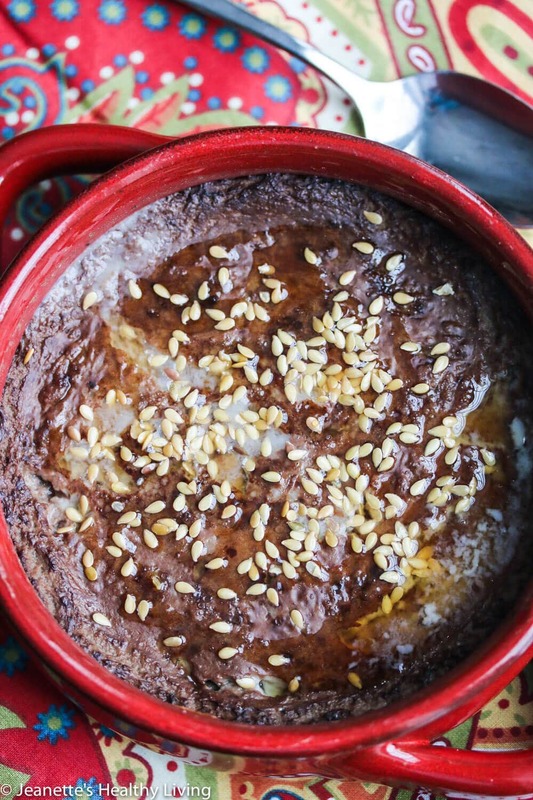 In a small bowl, whisk together oat flour, almond flour, baking powder, and salt. Add to batter and mix well. Stir in chocolate chips. Spoon into muffin tins lined with baking cups. Bake 20-22 minutes, until toothpick comes out clean when inserted in the middle. 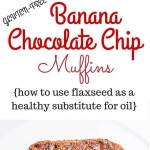 I fell in love with flax seed cookies over the summer and need to make these muffins! I’ve never had flax seed cookies Brian – going to have find a recipe for those! 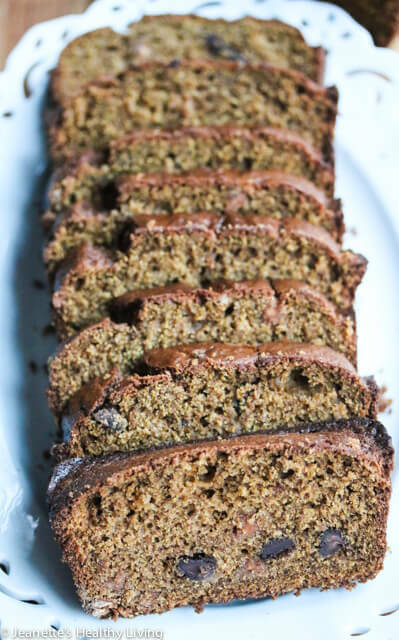 Thanks Laura – I hadn’t used flaxseeds in baking for a while until my friend gave me her extra packs. 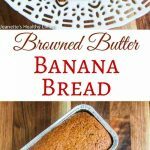 So glad she did – it was a good reminder to use them as a healthy substitute for oil in baked goods. 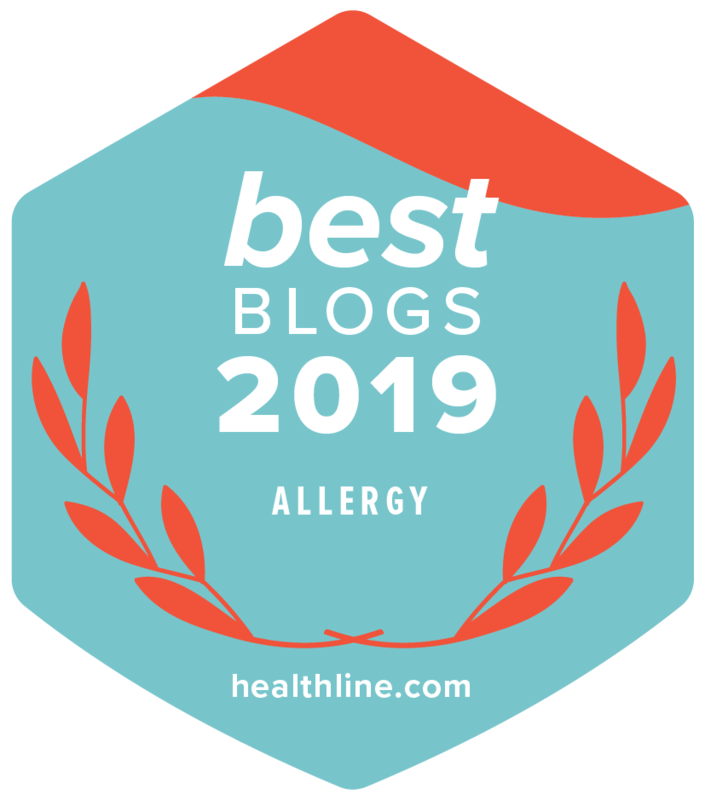 I love flaxseed but don’t use it nearly enough. LOVE these!! 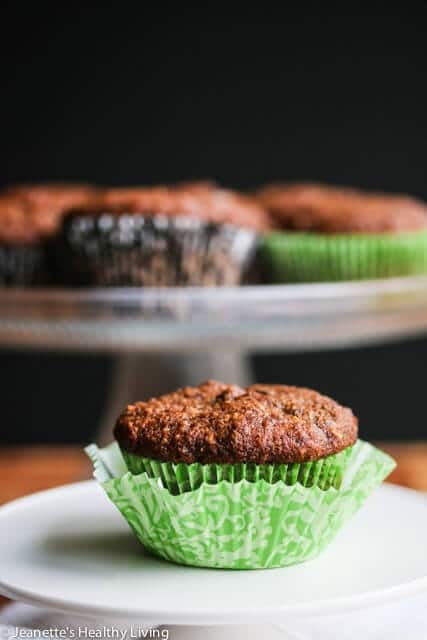 Thanks Deborah – I don’t use flaxseed enough either, so I’m glad my friend gave me some to make these muffins with. these sound amazing! 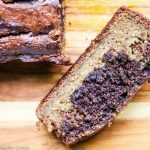 love the flaxseed addition…something i always forget to add when i’m baking! 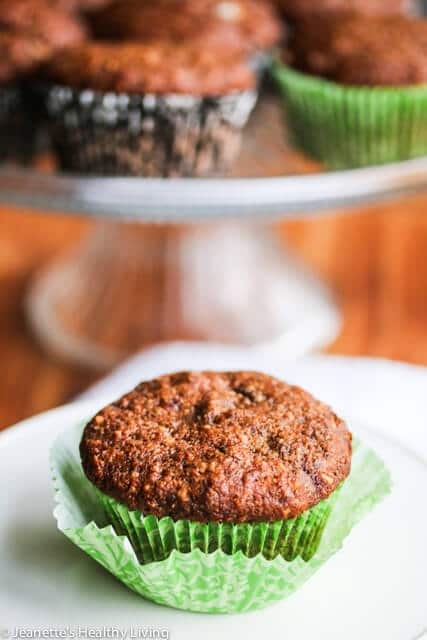 Thanks Lindsay – thankful for my friend who gave me her flaxseeds so I could use them in these muffins. These sound so hearty! 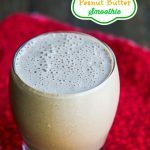 I’ve been having super busy mornings and would love to have some of these to take on the go. Happy Monday! Jeanette they look delicious- I’ve got a huge package of flaxseeds ( I literally needed 1 T in a recipe) and now I know how to use the rest! Pinned! 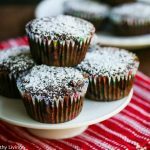 These muffins look so hearty and delicious! 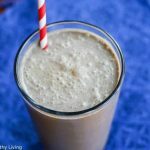 I love all the flaxseeds in here! Thank you Pearly – so glad your kids liked these!